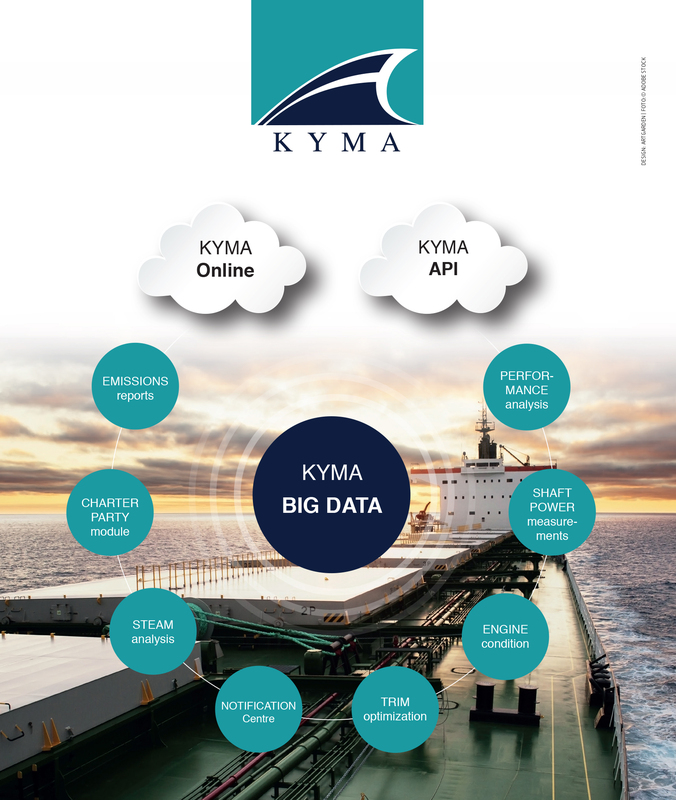 Kyma AS – Ship Performance Monitoring. Shaft Power Meter: instrument for continuous measurement of torque, thrust, revolutions and power on a rotating shaft with high accurancy, long term repeatability and exceptional long life time due to strain gauge technology. Diesel Analyser: system for optimization of engine performance: balancing, tuning, condition based monitoring and improved maintenance. Ship Performance Monitoring: a full package of various solutions for fuel efficiency, emissions reduction incl. EU-MRV and Ship to shore data transmission incl. API. The combination of a sharp increase in bunker fuel prices, lower freight rates and influx of stringent regulations on the environmental impact of shipping has catalysed a surge in information needs about the operational performance of a ship. A ships operational performance depends on multiple factors. The weather and sea conditions have an impact, the technical design efficiency (e.g. propulsion choice, main drivers, speed, throttle), state of maintenance (e.g. hull & propeller resistance) and actual ship operation (e.g. voyage, trim and load conditions). A performance monitoring sytem collects, presents and converts operational data of a ship to information that supports smart decisions. Smart decisions save fuel, streamline operations and reduce CO₂-emmissions and greehouse gas. The International Maritime Organization (IMO) enforces since January 2013 greater actions around ship efficiency and the reduction of greenhouse gas. Examples are the Energy Efficiency Design Index (EEDI) and Ship Energy Efficiency Management Plan (SEEMP). Both instruments provide a mechanism to improve energy efficiency in a cost-effective manner. In addition, the European Commission has proposed regulation on monitoring, reporting and verification (MRV) of CO₂ emissions with a emphasis on performance monitoring. Finally, performance monitoring also increases transparency for various stakeholders: fleet management, cargo owners, charter companies, banks and insurance companies.